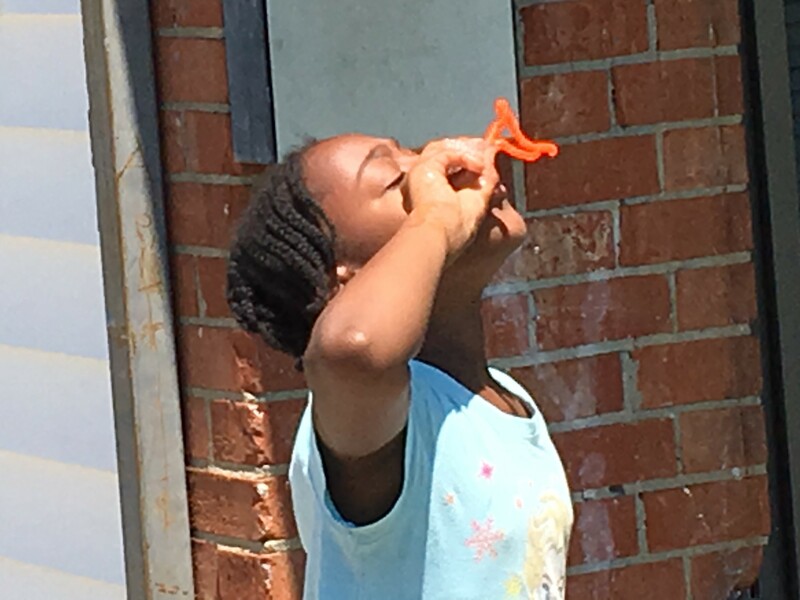 Aniyah Barnes of Whitfield Homes sends homemade dish soap and corn starch bubbles skyward through her just completed pipe cleaner bubble blower. 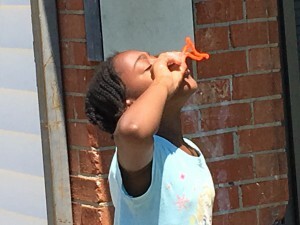 Barnes, 10, created a variety of patterns to blow her sudsy concoction through as a camper at the Wilson Housing Authority’s Arts Camps sponsored by the Arts Council of Wilson and the Wilson Rotary Club. The Wilson Housing Authority is a recognized leader and innovator in sustainable, affordable housing. A high performing agency for several years, WHA is able to engage in a level of community-based partnership with both the City of Wilson and the private sector business community that is exceptional among housing authorities. The agency’s mission is to provide safe, decent, affordable housing to the Wilson Community, ensuring the sustainability and responsible land use in our development that is required for a forward-thinking community.